Has the maximum fun factor. 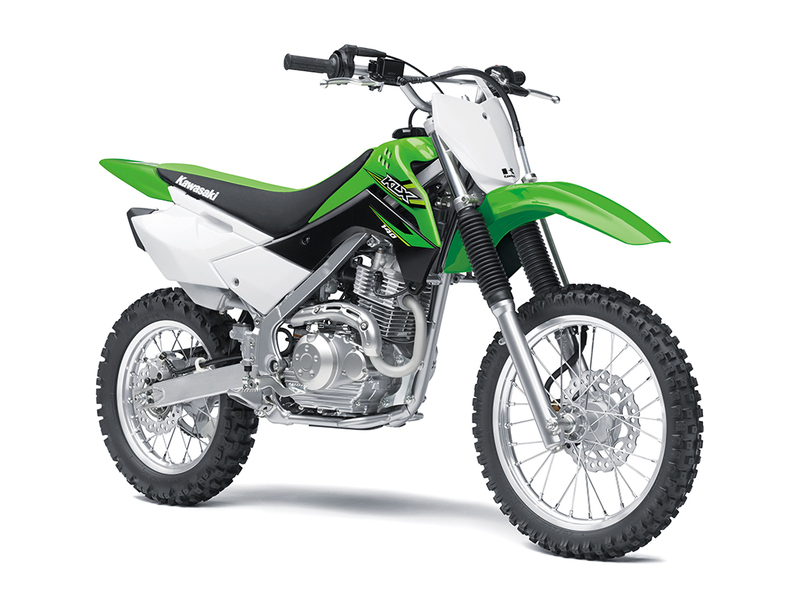 The perfect bike for kids and young adults, the KLX140 has just the right level of power, handling and attitude to raise the off road fun factor to MAXIMUM. The KLX140 air-cooled single-cylinder engine offers a lightweight power plant that is both simple (to operate and to maintain) and reliable. 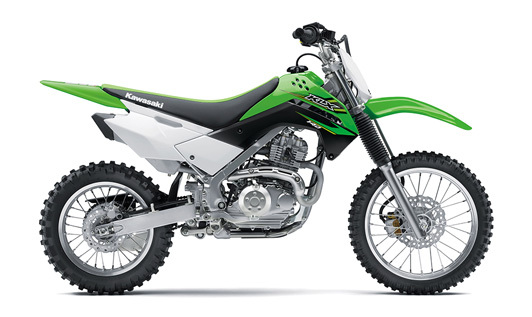 The perfect bike for kids and young adults, the KLX140 has just the right level of power, handling and attitude to raise the off road fun factor to MAXIMUM. The KLX140 air-cooled single-cylinder engine offers a lightweight power plant that is both simple (to operate and to maintain) and reliable. The 5-speed transmission and the manual clutch are easy-to-operate by young riders if moving up from auto clutch models. The KLX140 push button electric start and engine run-off controls are on the left handlebar. Its smooth, easy to use power makes it a breeze for riders of all skill levels while plush, long travel suspension soaks up the bumps when the going gets rough. Powerful disc brakes pull the KLX140 up in a big hurry and KX inspired styling gives you a hint of the attitude that lies within. Whether you're new to riding or after a capable, compact machine that gets the job done with a minimum of fuss ... the KLX140 is the perfect choice. 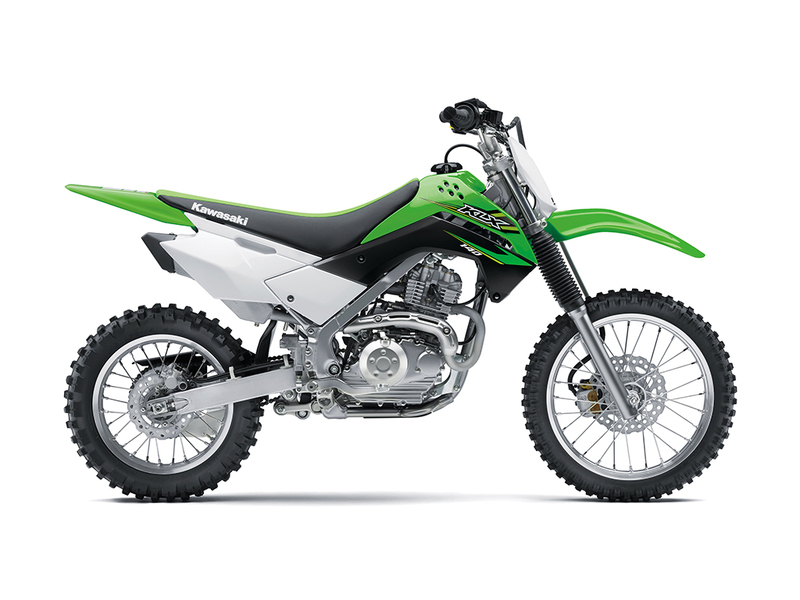 Looking to take the 2017 KLX140 for a test ride? Tell us when it suits you and we will be in touch to confirm the time and bike availability. 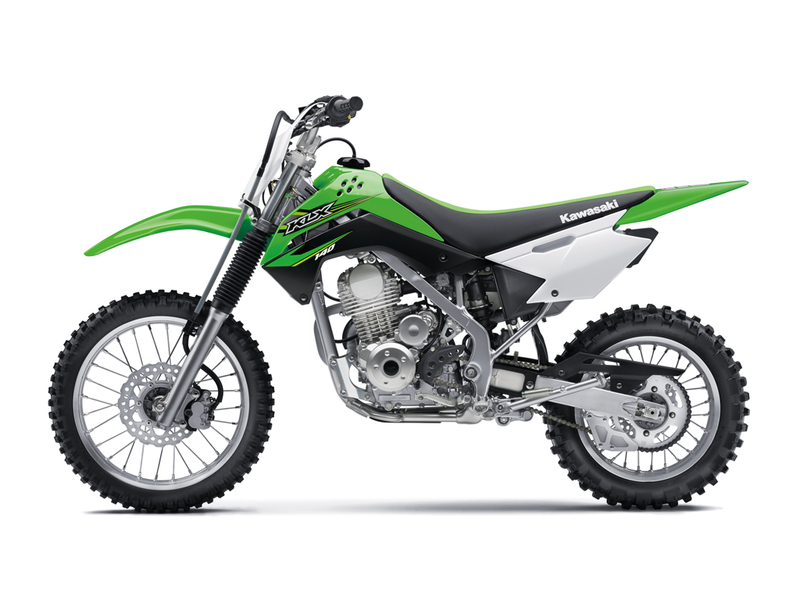 Want to know more about the 2017 KLX140? Our sales team have years of experience and can help with your enquiry.